Last time I went to Mecarto E Cucina, it was packed full of customers and it was hard to get a table and service was sooo slow. This was a few years ago! The food was delicious though so I decide to go back to see what's changed. 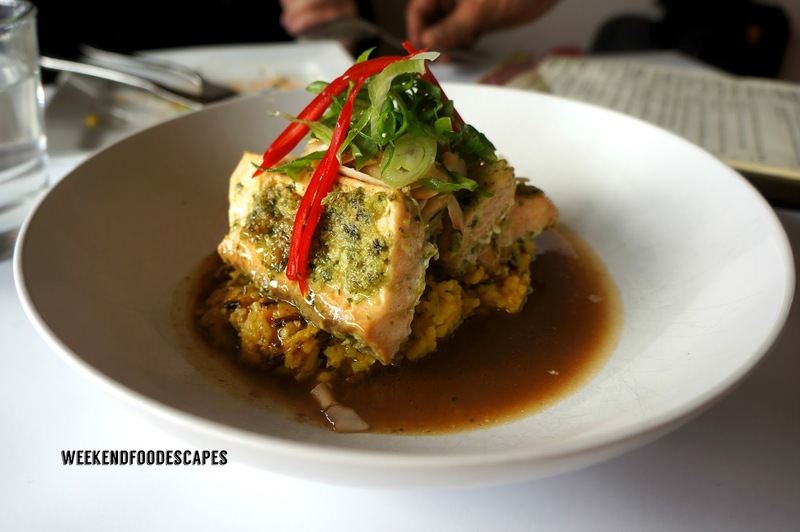 Salmon and Bear is a licensed restaurant specialising in fish and seafood. It's the second store for Salmon and Bear - the first is in Zetland. I check it out with an old high school friend and we have a FEAST. On a whim, I ask my pal Mel to join for an indulgent dinner after coming across a 'special' that Gazebo were running which was the truffle and cheese degustation with matching wines last month. oFarm Organic Grocers is located in Westfield Warringah Brookvale. 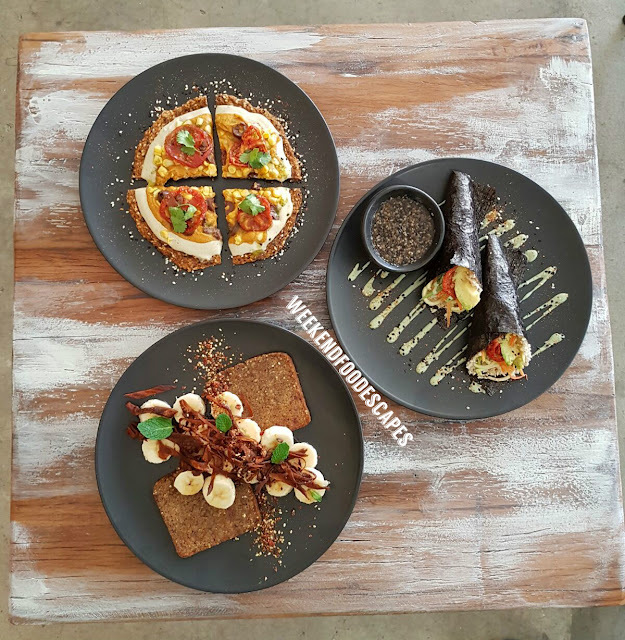 I teamed up with one my best friends for brunch to check out the delicious Vegan/Organic Menu and surprisingly I was super impressed! Tuxedo Bar and their signature espresso is waiting for you in the rocks. I was invited recently to a lovely night showcasing the best of Tuxedo Bar. Duck Duck Goose has a reputation for being child friendly with kids menu, a play area and changing table for the babies/kiddies and having good food and coffee for the adults. I think I've found a new favourite when it comes to chicken burgers. 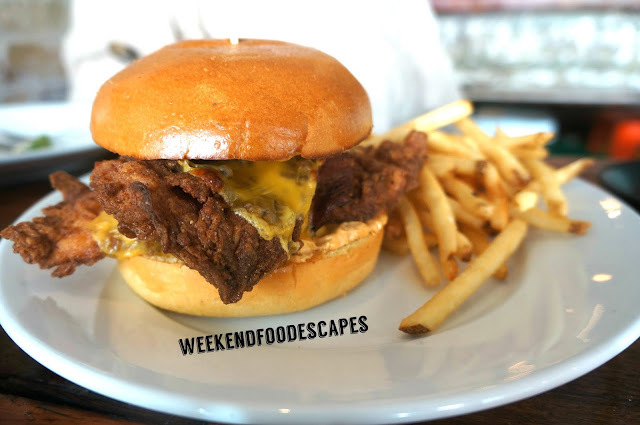 The special (above photo) Southern Fried Chicken burger was AMAZEBALLs. Epic 2 metre long pizzas are perfect for big groups at Crinitis. A large group of work mates and I check out Crinitis in Darling Harbour. 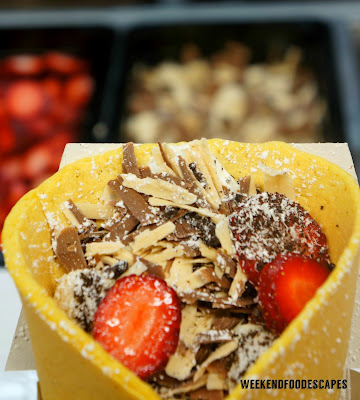 The original chocowrap is a new food truck located in Burwood. Think of delicious dessert wrap / kebab / crepes that you'll taste with hazelnut shavings from the Italian imported chocolate roll. Chidzura is a Japanese restaurant located in Rhodes. 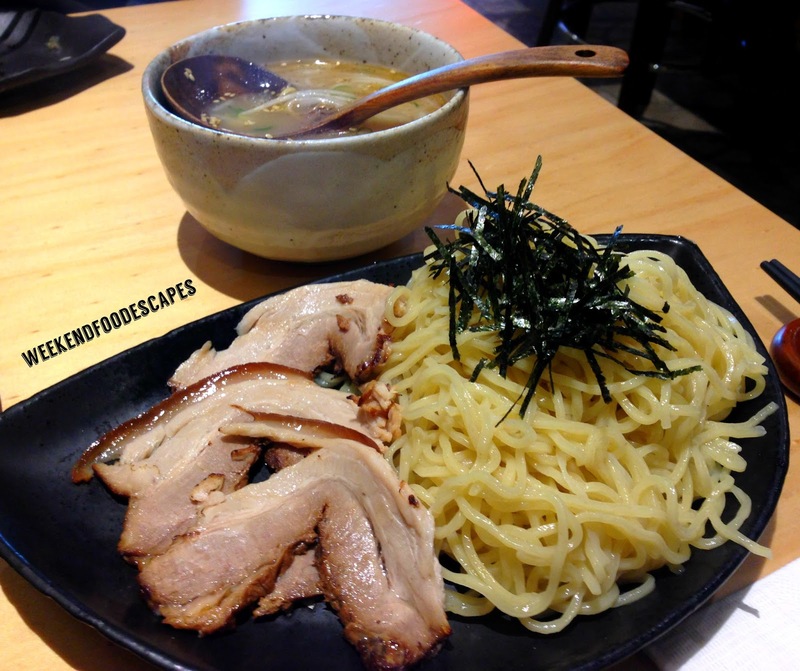 They have quite an extensive ramen menu so I stop by for some lunch. 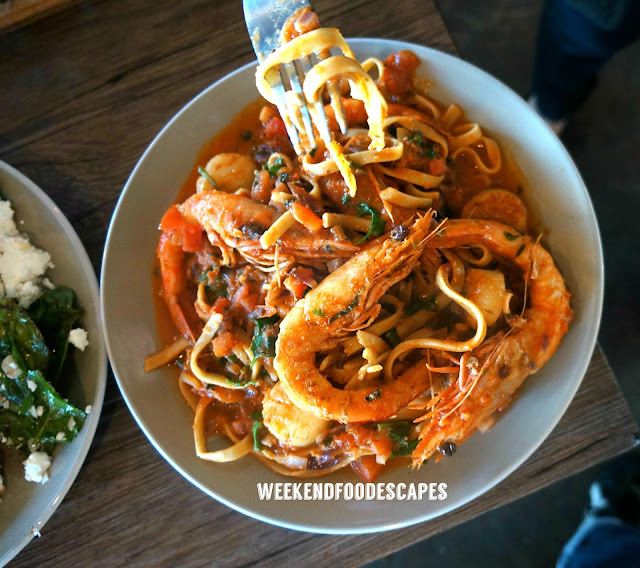 Driftwood on the Bay is a casual cafe located in La Perouse. I stop by for some lunch and check it out. 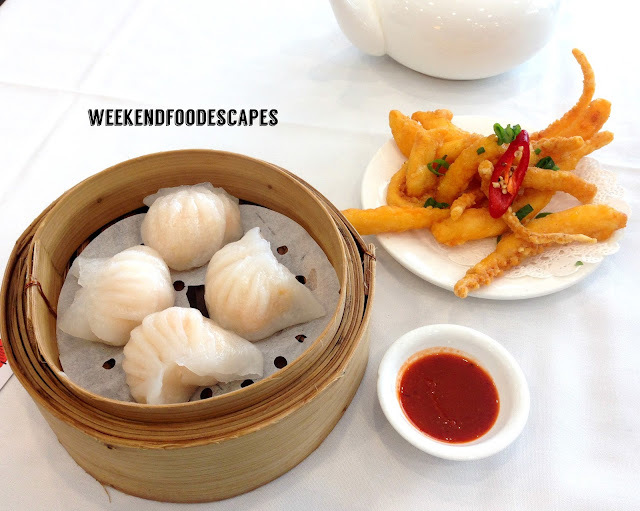 Top Choice Seafood Restaurant is a new restaurant in Rhodes which offers Yum Cha. I'm keen to check it out as Phoenix in Rhodes is always so busy and a bit over priced. 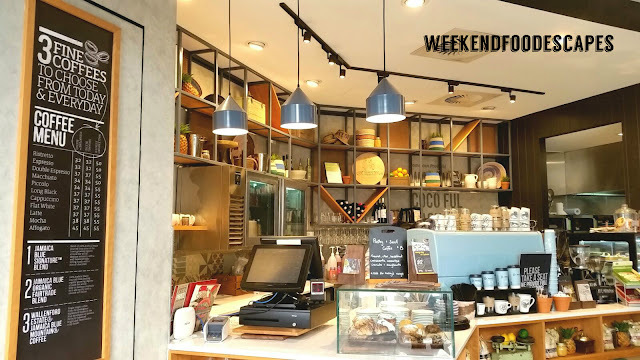 quality coffee and surprisingly good breakfast and lunch options. Strong value for money! To be honest, I accidently walked into Kao Kao. I caught up with an old work colleague and we were so busy chatting, we had actually intended to head into the ramen restaurant next store but it was too late. We had sat down. Rubyos in Newtown: the dessert platter (above) arrived I gasped in shock and awe. WOW! This looked really good. Did someone say chocolate baklava??!! Rubyos in Newtown turns it on. Their signature Salmon dish also immediately caught my eye. 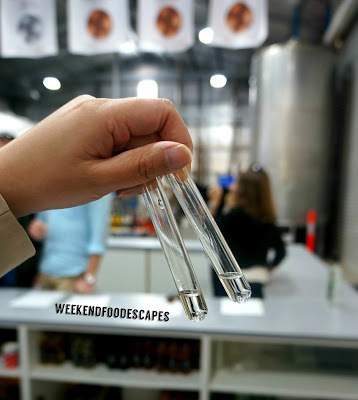 I love my wine but distilled vodka is also a great addition to any wine tour. Next on my Zepher tour is the Hunter Distillery. 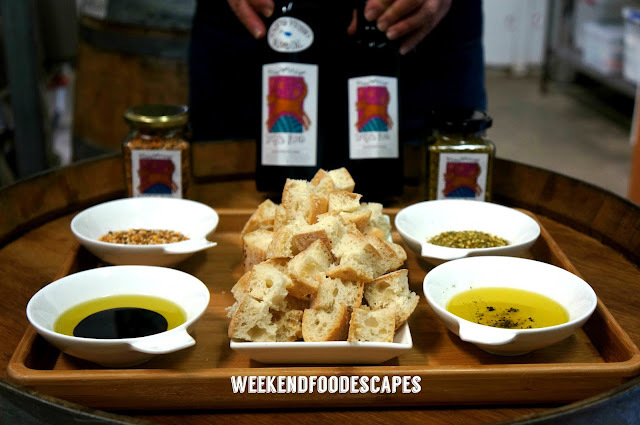 I had the pleasure of checking out the Hunter Valley with Zepher Tours recently. I really wanted a chill day out drinking wine, eating and chatting. So relaxing. So peaceful. So chill. 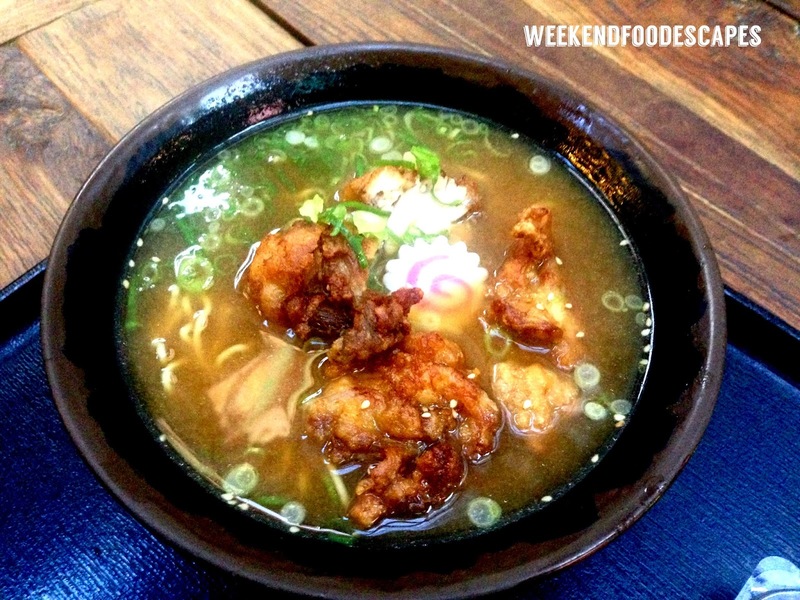 It's colder weather so I'm starting to crave noodle soup dishes for lunch. I catch up with my friend Jakub and we decide to go to Tenko Mori. Hotel Bondi, as the name would suggest, is a hotel located on the main street at Bondi Beach with a large bar and bistro on the ground floor to accommodate hotel guests, locals, and beachgoers. Recent renovations to Hotel Bondi have brought an open, warm and modern air providing a relaxing environment to eat, drink and be merry. In addition to the renovations, the bistro menu has also had a facelift which I had the opportunity to try out. 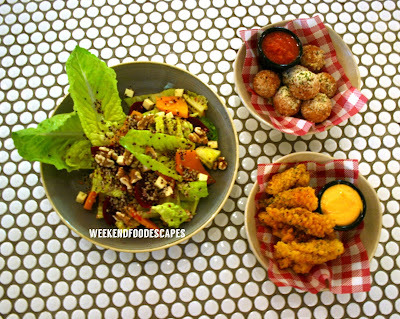 Bowery Lane is a New York inspired restaurant serving up modern Australian dishes. My friend AF is keen to check it out.